On 25 January 2018, scores of spectators again lined the picturesque Carenage to view the parade of boats before the Republic Bank Bimini Start for the 2018 Budget Marine Spice Island Billfish Tournament (BMSIBT). At the sound of the cannon from Fort George, 55 boats set out in spectacular fashion for Day 1 of three days of exciting sport fishing. This year’s tournament, dubbed Grand Slam 49, delivered yet again by promoting a full release tournament, and incorporating digital advances in recording and communication. Sport fishing enthusiasts around the region and internationally tuned in to the billfish action through live online streams and radio, and there was first-hand coverage by Marlin Magazine. At the awards ceremony held on 28 January, Amalee Mayers of ‘Remember Me Now’ (Barbados) was named the Republic Bank Top Junior Angler, and Tricia Thompson of ‘Remember Me Now’ (Barbados) was presented with the award for Top Female Angler. Republic Bank Top Angler was Glen Charlett of ‘Magic Lady’ (Trinidad & Tobago). Although there was no Grand Slam winner, 85 billfish were released this year. The heaviest fish brought to scale was a yellow fin tuna at 165 lbs. leaving the record of 173 lbs unbroken. ‘Yes Aye’ won the prize for Top Grenada Boat, and ‘Magic Lady’ (Trinidad & Tobago) claimed victory winning 1st Place Boat with a total of 8 releases and 3,000 points. As part of the activities, the Organising Committee hosts and organises a Local Outboard Parish Competition in conjunction with the Ministry of Agriculture, Forestry & Fisheries aimed at providing an opportunity for commercial fishermen to be a part of the tournament. This year, there was a record number of participants for a total of 79. 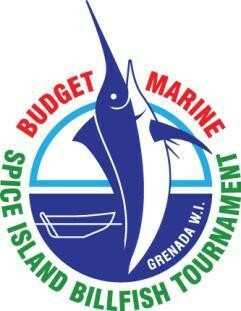 The SIBT Committee, with the assistance of the Fisheries Division of the Ministry of Agriculture, organised the Local Outboard Parish Competition as part of the 49th annual Budget Marine Spice Island Billfish Tournament (BMSIBT). 1st Princess Jude Sylvester St George 240 lbs. 2nd Thunder Patrick Hamilton St Andrew 220 lbs. 3rd Ray Ray Joshua Clement Carriacou 197 lbs. Jude Sylvester was presented with the grand prize of a 40HP Yamaha 2 Stroke Engine – compliments McIntyre Bros Ltd. The other sponsors of prizes were Rubis West Indies Ltd, Sissons Paints, Independence Agencies Ltd, FLOW and SP’s International Trading Ltd.
Chairman of the Spice Island Billfish Tournament, Richard McIntyre, commended all winners and recognised the Parish competition as an important part of the tournament activities. He stressed that as the BMSIBT is recognised for its conservation efforts, which is now key to the longevity of sport fishing in Grenada, the committee is committed to working with the local fishing community to promote sustainable fishing in our waters.